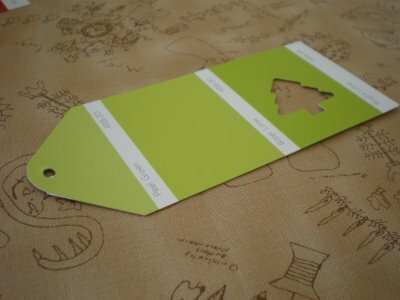 I know – it is really early to be talking about Christmas but we had some Paint colour cards in red and green colourways, and made some little festive tags. (The hardware store was closing down and I was in the right place to get a bag of paint chips). These would make a fun kids craft. All you need is some paint cards (if you have any left over from a DIY project), a Christmas punch, a hole punch, and some ribbon. After punching the tree, I cut the top of the tag into a 45 degree angle, and used a corner punch to round the tip. I then punched a hole and threaded some ribbon, and now have a whole batch of tags ready for Christmas. What a fantastic idea! And with those fiskars Halloween punches you could do the same thing for Halloween tags too.. they had some really cute ones this year. Thanks for sharing this terrific idea! What a lovely idea, Lisa! And no, it’s not early to be talking about Christmas, it is just there, soon! cute idea! love the green of that first one! Fun idea! Do you have a plan for all the little punchout trees? another creative idea. you amaze me! what a cool idea! 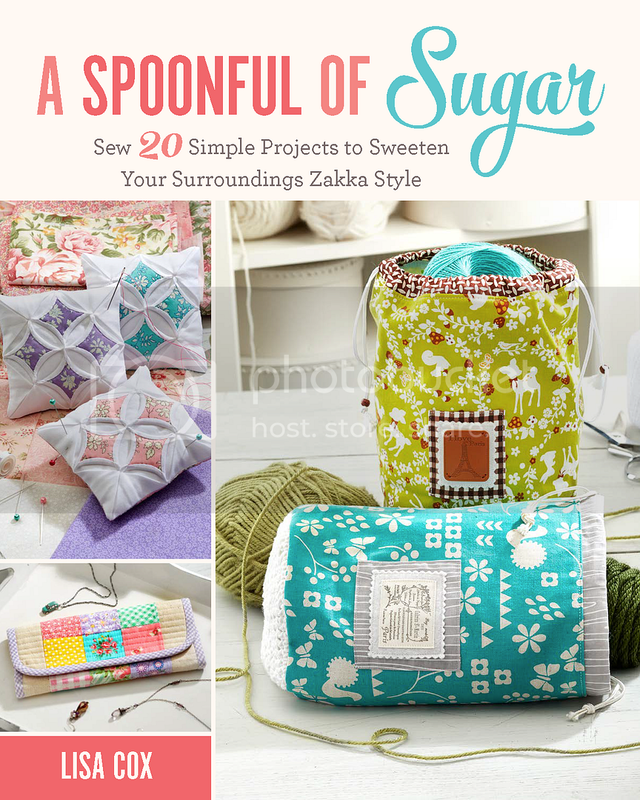 You could do it for birthday gifts too, just by alternating the colours and the punch! oh wow – that is a fantastic idea. and we just happen to be going to a hardware shop today!!! love your stuff – i’m envious of your talent and skill. That’s such a cool idea…I know what I’m stocking up on next time I go to Bunnings or Mitre 10! What a great way to recylcle!! Good on you girls, Kathryn. oh that is just too divine…thank you so much you have just solved my christmas tag delema…so gorgeous….thanks heaps…. this is such a wonderful creative idea, just brilliant!! Another great idea! I think I will use my snowflake punch on blue strips – cute! 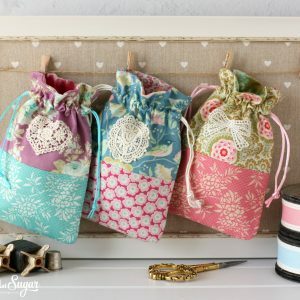 I am loving this craft idea, so clever. Believe it or not Christmas will be here before you know. I love paint sample cards. That’s a great use for them. My word! Ya’ll have the most clever ideas!!! Another nifty idea. A great way to empty the paint sample shelves! You’re paint-card craftiness is the bomb! I especially love the Christmas tags. Very clever. You go girl! What a cool idea! Makes me want to run down to the DIY store right now! Those are CUTE… good idea! The paint manufacturers are going to wonder why they’re suddenly having a run on their paint cards, but sales haven’t increased LOL! I love this idea so much that I picked up a bunch of red and green paint color cards at the home improvement store this weekend. Now I just need the tree punch and some cool ribbon. Thanks for sharing this creative idea! What a great idea. 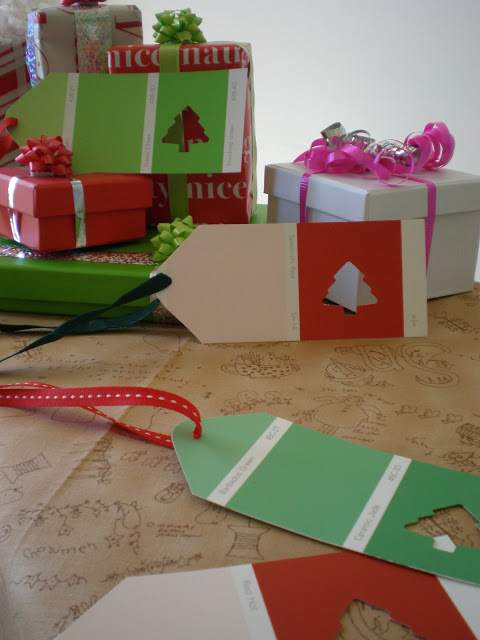 Using tree punches seems like a quick way to make christmas tags that look good! I love this idea! So great. Thanks for sharing. your gift tags are such a fun idea! are they pre-wrapped Christmas presents already?! Thanks for another great idea! And it is not too early to start getting things done for Christmas! It always come sooner than expected! What a fabulous idea. I’m going to have to make a few of those. Thanks for sharring your creativity! great idea!! love the presents in red and greens…hmmm christmas is coming! I raided Bunnings on the weekend – I felt a little naughty – but what the heck – most people take them then chuck them away – lets say that I am doing some salemanship for them – He He!! Great Idea!!! You are so creative! 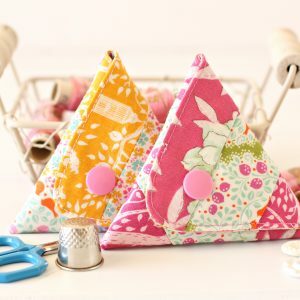 BTW, I love all of the other great recycled crafts that you’ve been doing of late too..
great idea – I am off to stock up now. Love it! You are just so clever and creative. Thanks for the inspiration and ideas. Those are neat. What a unique idea! I love it! What a clever idea. I think I am going to have to grab some paint cards. Fantastic easy and super idea!! thanks for sharing! I love the gift tags idea! Your favorite movies all match mine! It is never too early to talk Christmas as it sneaks up on you! This idea would certainly get my family thinking. oh my gosh! how cute is that!!! LOVE. Just found your blog. What great ideas! Hope you don’t mind, but I’ve done a post on my blog recommending yours. Do you mind if i copy just one of your photos to give some colour to the post? Fabulous ideas. I love these paint color cards, I collect these and use them for background colors on hand made greeting cards. 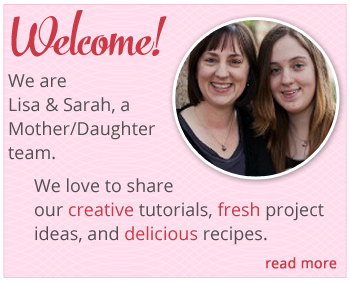 Great ideas on your blog. I can use them with my class. Thank you. But tell me please, what is Mod Plodge and where do you get it? My word verification for this commet was ‘snonging’. What a delightful word. What a clever and lovely idea! Just found your blog, recommended by a fellow blogger. Its awesome, and so many new and great ideas. Thanks. Why didn’t I think of that?! I bought three rolls of Christmas paper (two on clearance last year, and one from my nephew’s school fund raiser). I think I’ll take snippets of them with me to match colors! Oh! Or you could color code them for each member of your family! The possibilities are endless! love these tags as well. what a fun project! those are so clever! I love them! You have such wonderful ideas..thanks for sharing. I always make a point of strolling back on previous post…I’m glad I did! These gift tags are such an inventively adorable idea. I’m happy not to have missed out. Thank you for visiting my humble blog. Please come again. May I spotlight you and your tags on a future post? Let me know. What a brilliant idea! I’ve included a link to this in our DIY wrapping guide here. How adorable – I always love looking at paint chips and imagining all the things I could paint. Now I have one more reason to go by that department…. Hey where can I get that tablecloth? or fabric? it looks really cool! 😛 thanks! Absolutely BRILLIANT! Happy Holiday to you and yours! Brilliant! (Found via Whipup Archives) — will be linking 12/29! I think I would use the tree that you punched out on the opposite color of card and glue it on somewhere.Maybe with foam to give it dimension. Great idea. Nearly half made when you get them! 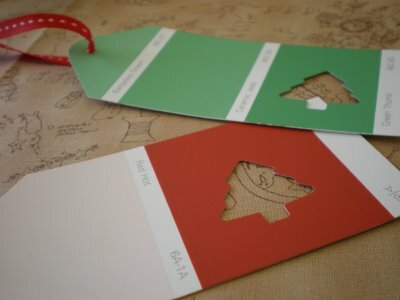 Cute idea, but how would you get enough red & green paint color cards. I don’t think it would be right to just go to a store and take the number I would need. Howdy fantastic blog! Does running a blog similar to this take a large amount of work? 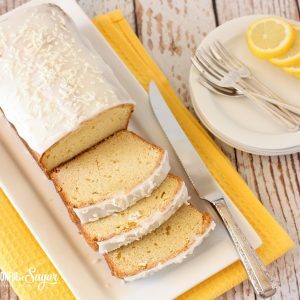 I have no knowledge of computer programming however I had been hoping to start my own blog in the near future. Anyway, should you have any suggestions or tips for new blog owners please share. I know this is off subject however I just had to ask. Thanks!